Eleven journalists from Syria, Jordan and Lebanon covered the Third Brussels Conference “Supporting the future of Syria and the region” with OPEN Media Hub assistance on 12-14 March 2019. OPEN Media Hub mentors and experts worked with the journalists to help them gather information, make interviews and produce their stories choosing from the wide variety of events taking place at and around the Conference. The Conference, co-chaired by the EU and the UN focused on mobilising international support for the Syrian people and contributing to the achievement of a lasting political solution to the Syria crisis. 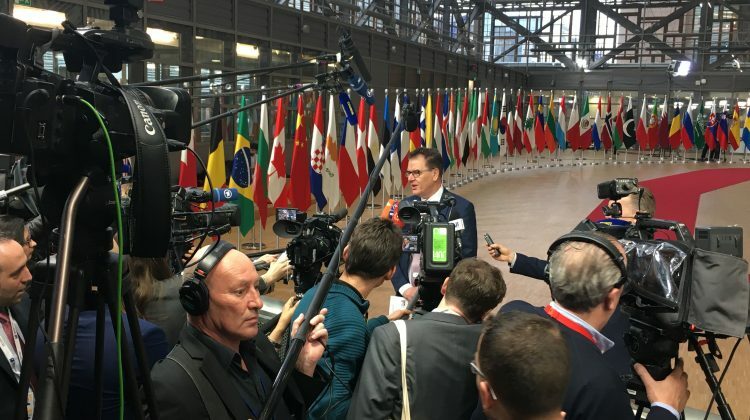 The event, which started with two Days of Dialogue at the European Parliament, included a number of side events organized by civil society organizations and activists and ended with a Foreign Ministers Conference announcing the pledges of the international community in support of Syria. All stories produced by the journalists covering the Conference with OPEN Media Hub support are available on our Content Exchange Platform and are free for use, with attribution. The OPEN Media Hub project, funded under the OPEN Neighbourhood Programme, aims at creating a virtual media hub spanning the EU’s two neighbourhood regions – south and east – in order to contribute to the development of independent media and to a more accurate presentation of EU policies, through the creation of a network of journalists. It provides skills to journalists and media managers through the fostering of professional networks, the provision of hands-on workshops, of journalist exchanges and support to audio-visual and online production.